Is that band coming up through London snow/rain/sleet? Assuming it all falls as snow and all sticks - do people not feel it will at the very least start as rain and take a while to settle ..? Reminds me a lot of 1993/4. 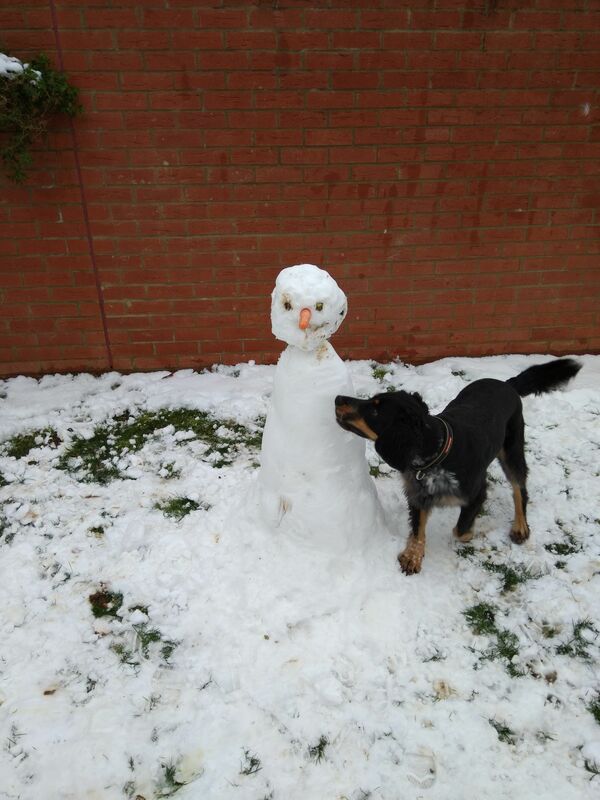 We had quite a few snow events here in Reading but very little settled. Better luck this time though! 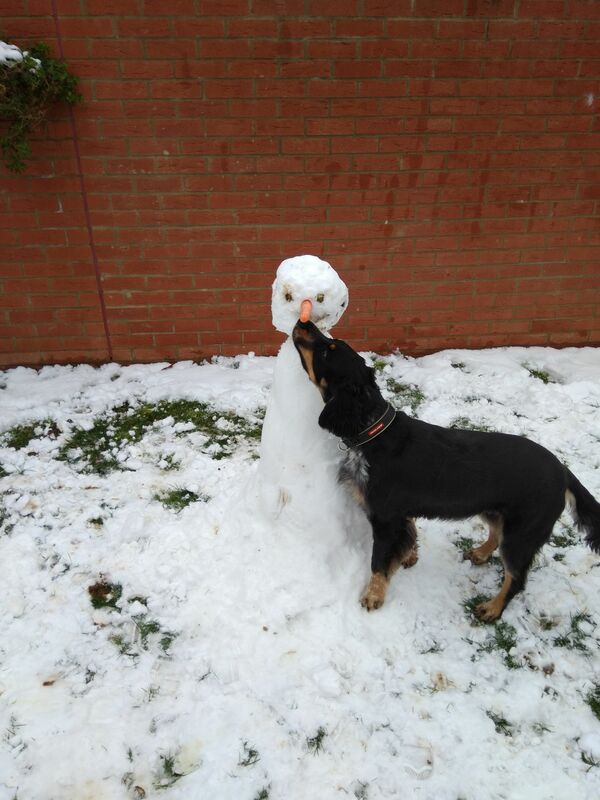 Picture of the dog saying hello to the snowman just before he took his nose! 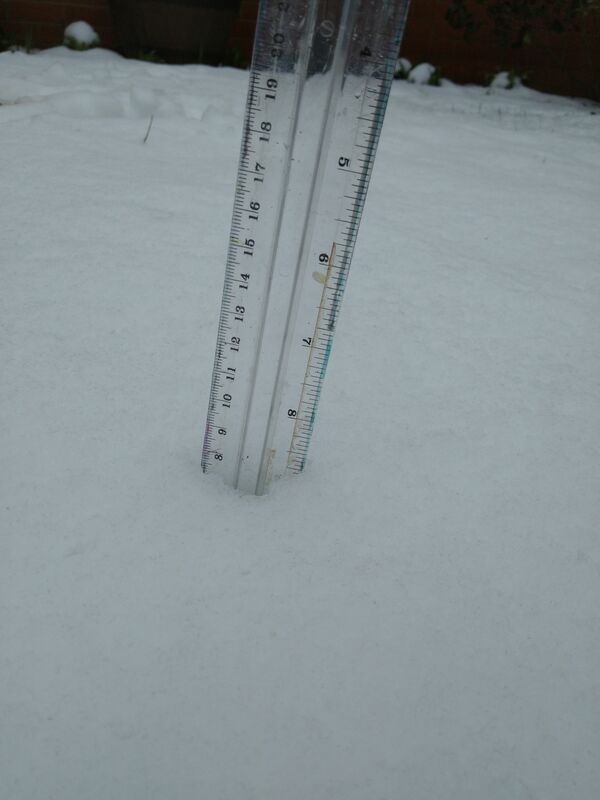 Measured about 8cm in part of the garden that is less sheltered. Definitely some compaction going on due to slight thaw so reckon we may have had about 19cm all told. My apologies and i am very happy for you that you got snow.I should have been a bit more specific as i did see Brighton area got a good dollop of snow last night.I just wish that this part of England was more mountainous with everywhere being at least 300m asl and then we wouldnt have these problems with margainality lol!! No problem, just as an aside to the snowfall, the talk of a 'warm zone' last night in Kent and the Sussexes. The temperature was +1c the whole time until I reached the Sussex coast and then -1c. @Surrey What you make of it Surrey? And again, they can't even get it right on the DAY! Area of Snow... It's RAIN! You are right. It's a mixture of everything but mosty rain. I wonder whether the low that screwed me over also drew in some more marginal air around it's flank as itdeveloped. In a marginal situation it may have made a difference by keeping temperatures up. My temperature held at 0.6c until the cap dry slot finally broke down, then temps dropped quickly. 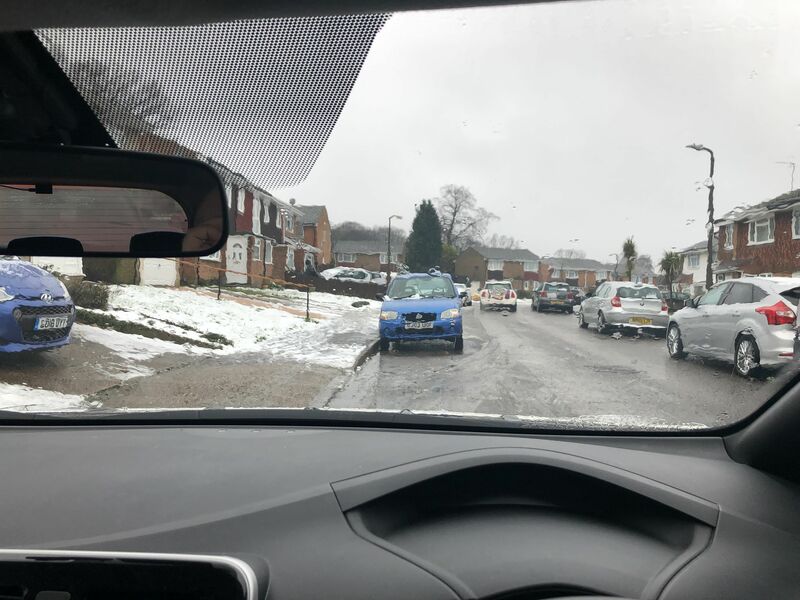 The coasts had heavy snow in place already which helped keep the temperature down when combined with fairly consistent snowfall. Combined with subsidence from The front to the north killing precipitation as it came ashore and that is a lethal combination. Sitting in Wladerslade, Chatham right now waiting for a pupil to start their driving lesson. A mix of 90% rain and 10%snow is building in intensity. What snow is here is melting before my eyes. Such a shame. Look out your window mate. That's if you are on the London area. I wonder whether the low that screwed me over also drew in some more marginal air around it's flank as it developed. In a marginal situation it may have made a difference. The coasts had heavy snow on place already which helped keep the temperature down when combined with fairly consistent snowfall. 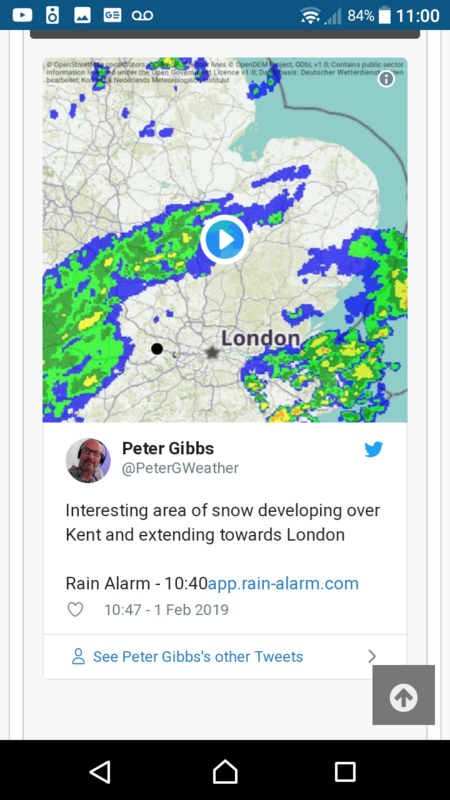 Quite possible,it seems areas to the East of Eastbourne had trouble keeping settling snow, as did areas North of Gatwick,further West along the coast and inland there were no such problems. It was wet snow here till the front lifted far enough to let the SSW draw effect us. Then it turned to rain. Se was on the wrong side of the low, pretty simple really. If it stayed as a wave, would have been much better. I suspect any precipitation talking to the east of that front is going to be sleety stuff at best. Once the front does move east, providing there is something left, will probably go back to snow. I'm doubtful however it settles, I think we have lost the surface cold required for it now. Could still cause a few rush hour issues though. Don't think it will settle. We're under an intermittent light band and it's not settling where I've cleared snow from the car. Chicken and egg? If the circulation doesn’t head towards the south coast then the snow stays lighter and further south .... the low has spoiled a lot of the snow in south coastal counties but extended the cover much further north dragging far larger areas into the mix ...... today seems a mess to say the least ! LOL GFS crazy snow charts suggesting this!